The Vol. 3, No. 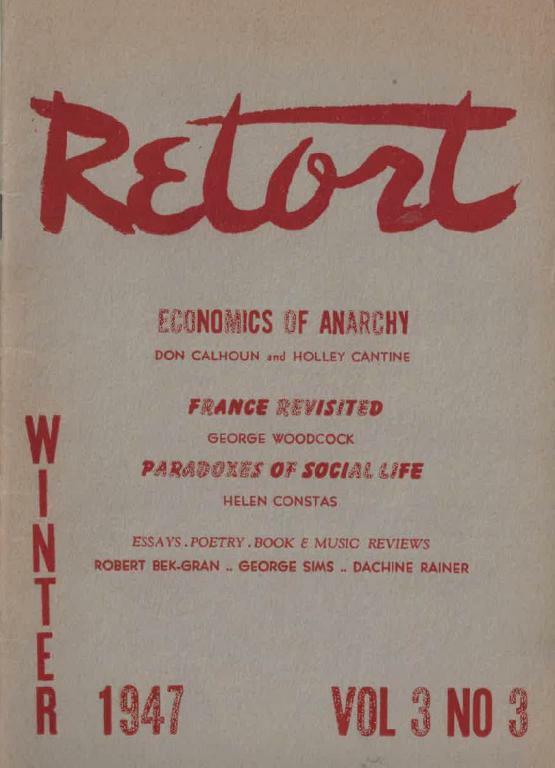 3 (Winter 1947) issue of Retort, an anarchist publication produced out of Bearsville, New York from 1942-1951. -Editorial: There is no social contract! This issue purchased from funds donated by our users and scanned for libcom.org.